Plus, they both chose to take their own life. Who are some other hit-makers that resorted to suicide, and when and how did they do it? DEAR NANCY: Here is just a wee bit more to the Del Shannon-Singing Nun comparison: “Runaway” and “Dominique” were both No. 1 for four weeks. Also, the two singers are alphabetically consecutive on the list you requested. For this account, we mostly stick with the official causes of death, as determined by medical examiners and affiliated investigating agencies. As drug overdose cases are rarely categorized as suicide, stars like Janis Joplin and Jimi Hendrix are excluded, though distinctions between accidental, albeit preventable, drug overdoses and intentional ones can often be blurry. Johnny Ace: December 25, 1954 of a single shot to the head (25). Included because some reports attribute his death to Russian Roulette, labeling it suicide, but all first-hand witnesses deny that account. They say he put a pistol at his head and pulled the trigger, attempting only to prove it was not loaded. Unthinkable stupidity? Absolutely, but it should not be classified as suicide. The same applies to Chicago's Terry Kath (1978). Johnny Ace had the No. 1 R&B smash, “Pledging My Love,” plus seven other Top 10 hits. Tommy Boyce: November 23, 1994 of a self-inflicted gunshot (55). With partner, Bobby Hart, Boyce wrote over 300 songs, many being hits for Boyce & Hart (“I Wonder What She's Doing Tonight,” etc.) as well as the Monkees (“Last Train to Clarksville,” etc.). Roy Buchanan: August 14, 1988. While incarcerated over a domestic dispute, Roy crafted a noose from his shirt and hung himself in his cell (48). Often called the best unknown guitarist in the world, Buchanan's virtuosity is heard on about 30 albums. Kurt Cobain: April 5, 1994 of a self-inflicted shotgun blast to the head (27). Lead singer-guitarist of Nirvana, who had eight Gold albums from 1991 to 2002. Cobain is a marquee member of the Forever 27 Club, an uncanny abundance of singers and musicians whose life ended at age 27 (more on that below). Danny Gatton: October 4, 1994 of a self-inflicted gunshot (49). Another one of rock's great guitarists. Danny is featured on countless hit records. Dickie Goodman: November 6, 1989 of a self-inflicted shot from a Taurus .38 Special. Known as the King of Novelty, his groundbreaking “The Flying Saucer” (1956), and later “Mr. Jaws,” sold in the millions. Pete Ham: April 24, 1975. Hanged himself in his garage. Leader of the Iveys, later known as Badfinger. Their top hits, including “Come and Get It”; “No Matter What”; “Day After Day”; and “Baby Blue,” were all on Apple, the Beatles' label. Phil Ochs: April 9, 1976. Yet another to die at the end of their own hangman's noose (35). Singer, prolific songwriter, political activist, and a key figure in the 1960s folk scene. Danny Rapp: April 5, 1983 of a self-inflicted gunshot (41). Leader of Danny and the Juniors, whose “At the Hop” and “Rock and Roll Is Here to Stay” are rock era anthems. 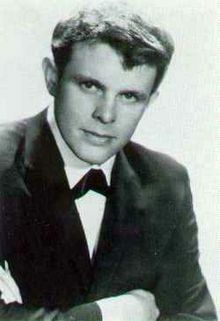 Del Shannon: February 8, 1990 of a self-inflicted shot from his .22 caliber rifle (55). After the mega-hit “Runaway,” Shannon added eight more Top 40 hits to his Hall of Fame resume. The Singing Nun (Jeanne-Paule Marie Deckers): March 31, 1985. Deckers (51) and her domestic partner, Annie Pecher, both intentionally overdosed on alcohol and barbiturates. Wanting to be together forever, they are buried side-by-side in Warve, Belgium. Wendy O. Williams: April 6, 1998 of a self-inflicted gunshot (48), after two failed attempts (1993, 1997). Lead singer of the punk-rock group, the Plasmatics. Faron Young: December 10, 1996 of a self-inflicted shot from a .38 pistol (64). Made the C&W charts with 89 titles, including “Hello Walls” and four other No. 1 hits. One of the 10 Top C&W acts of the 1960s. Johnny Ace (25) is the youngest and Faron Young (64) is the oldest on our list. IZ ZAT SO? Some of the more renowned members of the Forever 27 Club, and the year they died at age 27, are: (1938) Robert Johnson; (1960) Jesse Belvin; (1964) Rudy Lewis (Drifters); (1969) Brian Jones (Rolling Stones); (1970) Jimi Hendrix; Janis Joplin; Alan “Blind Owl” Wilson (Canned Heat); (1971) Arlester “Dyke” Christian (Dyke and the Blazers); Jim Morrison (Doors); (1972) Linda Jones; Les Harvey (Stone the Crows); (1973) Ron “Pigpen” McKernan (Grateful Dead); Roger Lee Durham (Bloodstone); (1975) Dave Alexander (Stooges); Pete Ham; (1978) Chris Bell (Big Star); (1980) Jacob Miller (Inner Circle); (1994) Kurt Cobain; and (2011) Amy Winehouse. Strong sales of Radiohead, Adele and Arctic Monkeys’ recent albums have helped to see vinyl LPs record their best sales figures for six years in the United Kingdom. 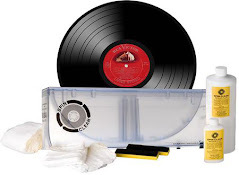 In fact, according to the UK’s Official Charts Company, sales of vinyl albums in 2011 have already outsold the total for the whole of 2010, with over 240,000 LPs sold, compared to 234,000 in 2010. Radiohead’s The King of Limbs has sold more than 20,000 copies alone, more than 10 times what Adele's 21 has sold, the second best-selling album on vinyl of 2010. Other artists enjoying strong vinyl sales are PJ Harvey, Beady Eye and Bon Iver. Meanwhile in the US, Nielsen SoundScan indicates that vinyl records, with almost three million sold, was the fastest growing music format in 2010. 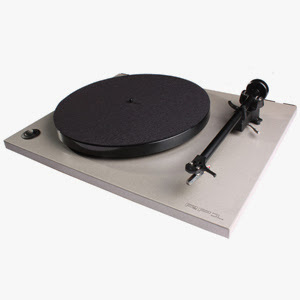 By June 2011 the number of vinyl albums sold was 40 percent greater than the same period last year. A Beatles EP out of France shoots up over 10k for the #1 spot. The Doors acetate is of a studio session from 1965, pre Robbie Krieger, with early versions of "Hello, I Love You" and "Moonlight Drive". Australian DIY punk band from the late 70s ties with Pink Floyd for the #1 spot. The Italian orange vinyl edition is the most soft after pressing of The Wall LP, and in an otherwise lackluster week goes for $500.00 more than any previously known sale. The private press LP in the #3 spot has to have the best band name and album title of all time for a 60s psychedelic hippie band. BURBANK, CA, Oct 19, 2011 (MARKETWIRE via COMTEX) -- Tom Petty and The Heartbreakers will support the coalition of independent record stores' November 25th Back To Black Friday Record Store Day event with a limited edition vinyl-only release of live tracks from their Grammy Award-nominated album Mojo. Kiss My Amps (Live) features 6 tracks from Mojo recorded during the 2010 Mojo Tour and also includes "Sweet William," a b-side recorded live during the 2008 Tour and referred to at the time by Rolling Stone as their "new favorite Petty song." Tom Petty says, "The music on this album is the Heartbreakers at their best and we're always happy to support vinyl and the independent record stores." The release of Kiss My Amps (Live) will be limited to 5,000 individually numbered pressings. Each copy will include a unique code to allow purchasers to also download the album at no extra charge in High Resolution FLAC or 320k MP3 formats. Tom Petty and The Heartbreakers' 2010 Mojo Tour was another exciting summer for a band who has been thrilling live audiences for the past 35 years. Each night of the 2010 Mojo tour featured a mid-show miniset of songs from the Mojo album, many of which are included on Kiss My Amps (Live). The Chicago Tribune wrote of the band's 2010 Mojo Tour concert in Chicago: "The communication, cohesiveness and chemistry that Petty and his mates demonstrated for 110 minutes should serve as a lesson to all musicians -- particularly hoary legacy acts content to coast on their laurels." The day after Thanksgiving has long been the red-letter day for big-box and chain retailers. This year, for the second year in a row, indie record stores will be the center of attention among true music fans, who will find special releases unavailable anywhere else, thanks to the cooperation of some major artists and their record labels in a momentous show of support and gratitude for the independent record store community. The second annual "Back To Black Friday," taking place this year on November 25, is being organized by Record Store Day, a cooperative project of hundreds of independent record stores in the USA, Canada, Holland, France and Germany. Back To Black Friday follows the "bigger-than-Christmas" success of their annual April event, which in 2011 saw the participation of indie record stores around the globe. EVANESCENCE's self-titled third major label album sold 127,000 copies in the United States in its first week of release to land at position #1 on The Billboard 200 chart. "The Open Door" has shifted 2.1 million copies in the United States so far, according to Nielsen SoundScan. The official video for legendary actor William Shatner's cover version of the QUEEN classic "Bohemian Rhapsody" can be seen below. 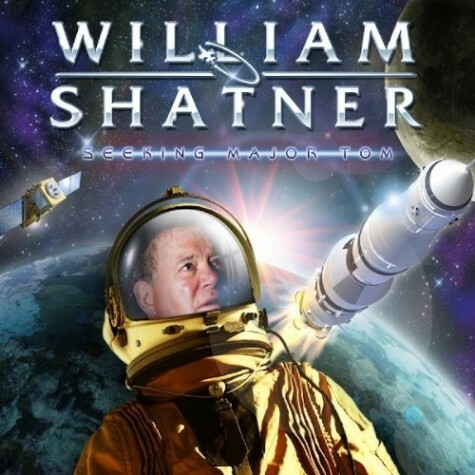 The song comes off Shatner's new space-themed concept album entitled "Seeking Major Tom", which came out on October 11 via the Los Angeles-based label Cleopatra Records. Comprised of 19 "interpretations" of classic intergalactic rock anthems, the release features guest appearances by Ritchie Blackmore (RAINBOW, DEEP PURPLE), Ian Paice (DEEP PURPLE), Zakk Wylde (BLACK LABEL SOCIETY, OZZY OSBOURNE), Carmine Appice (VANILLA FUDGE, ROD STEWART, OZZY OSBOURNE), Mike Inez (ALICE IN CHAINS) and Michael Schenker (MSG, UFO, SCORPIONS). The song features John Wetton (King Crimson/Asia). Legendary Rockers Queen to Be Presented With the Global Icon Award at the "2011 MTV EMA"
LONDON and NEW YORK, Oct. 19, 2011 /PRNewswire/ -- Queen, one of the most dynamic and influential rock bands of all time, will be honoured with the Global Icon Award at the "2011 MTV EMA", MTV announced today. The legendary rock band will also take the stage for a special performance. This year marks the 40th anniversary of Queen's formation in 1971; since then, these Rock and Roll Hall of Famers have garnered a long list of accomplishments and accolades, including career sales of more than 300 million albums, 16 No. 1 albums, 18 No. 1 singles and the UK's top-selling album of all time (their Greatest Hits compilation has sold a staggering 5.7 million copies). Hosted by Selena Gomez, the "2011 MTV EMA" will take place Sunday, 6th November at 9PM CET* from Belfast, Northern Ireland, and is sponsored by Dell, Replay, Hyundai and Swatch. In the U.S., the show will premiere on Tr3s: MTV, Musica y Mas on Sunday, November 6th at 6:00PM ET/PT, and on mtvU on Monday, November 7th at 12:00PM ET/PT. "We are honoured to be designated a Global Icon. We will do our best to be worthy!" said Queen's Brian May. "Over the past four decades, Queen has made an indelible impact on the pop music landscape. They are passionately revered by generations of fans and musicians across the globe," said Bruce Gillmer, Executive Vice President of Talent and Music Programming / Events for Viacom International Media Networks. "We are absolutely thrilled that they will be joining us at this year's MTV EMA, and we look forward to a very special performance." LOS ANGELES, Oct. 18, 2011 /PRNewswire/ -- With more than 40 million records sold worldwide and countless sold-out tours, Rush – Geddy Lee, Alex Lifeson and Neil Peart – are not only one of the most successful and influential bands in rock history but continue to garner new fans and continue in popularity every year. On November 21, 2011, Universal Music Enterprises (UMe) celebrates the legacy of Canadian rock trio Rush with the release of three separate six-disc box sets which together spans their entire historic Mercury Records recording career. Each "Sector" contains five of their 15 Mercury albums in chronological order, all transferred to high resolution 96kHz/24-bit audio and digitally remastered for optimal quality. In addition, each volume includes an exclusive booklet packed with unpublished photos, original album lyrics and credits, and features one album from each set specially remixed on DVD in high resolution 96kHz/24-bit, 5.1 surround sound and stereo, compatible with both DVD-Audio players and DVD-Video players. Each album is packaged in a replica vinyl mini-jacket of the original album release with all three box sets forming a Rush CD road case. RUSH – Their hard-rocking, self-titled 1974 debut hit the Billboard 200 and features classics such as "Working Man" and "Finding My Way." FLY BY NIGHT (1975) – Released in 1975, Fly By Night sees the debut of drummer Neil Peart who would help drive the band towards more complex material. Included are fan favorites such as the title track, "Anthem" and the eight-minute composition "By-Tor And The Snow Dog," which shows the band's musical growth and progression. CARESS OF STEEL (1975) – Also released in 1975, Caress Of Steel hit the Top 200 and gives a further glimpse of the band leaning toward prog rock and features Rush classics such as "Lakeside Park" and "Bastille Day." 2112 (1976) - One of Rush's all-time classics, 2112 was the band's commercial breakthrough reaching the Top 100 on the album chart and remains one of their most popular albums successfully merging prog rock with their hard rock roots, a first for its time. 2112 features epic tracks such as the 20-minute title track "2112," taking up the entire first side of the original vinyl album. ALL THE WORLD'S A STAGE (1976): Hitting Top 50, this was Rush's first live album and features classics such as "Fly By Night/In The Mood" which reached Top 100, "2112," "Bastille Day" and "Something For Nothing." DVD: FLY BY NIGHT – Their classic 1975 sophomore release is now, for the first time, presented in high-resolution 96kHz/24-bit 5.1 surround sound and stereo. A FAREWELL TO KINGS (1977) – Their 1977 Top 40 release features their hit "Closer To The Heart," "Xanadu" and the title track, "A Farewell To Kings." HEMISPHERES (1978) – Reaching Top 50 on the album chart, Hemispheres includes the 20-minute opus "Cygnus X-1Book II – Hemispheres" and the metaphoric social commentary "The Trees." PERMANENT WAVES (1980) – This 1980 release hit No. 4 on the Billboard 200 and features classics such as "Freewill" and "The Spirit Of The Radio." 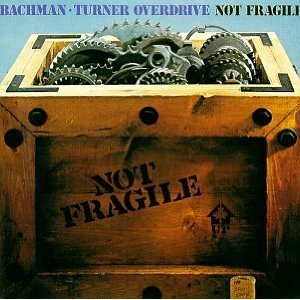 MOVING PICTURES (1981) – Considered one of the greatest hard rock albums of all time, this quadruple platinum-selling masterpiece features the Grammy® nominated instrumental "YYZ" and rock radio staples such as "Tom Sawyer," "Red Barchetta," "Vital Signs" and "Limelight." EXIT...STAGE LEFT (1981) – Released in 1981, this Top 10 live album features performances of favorites such as "Tom Sawyer," "Freewill," "YYZ" and deeper album tracks such as "La Villa Strangiato" and "Broon's Bane." DVD: A FAREWELL TO KINGS – The album that set their musical course and signature songwriting style is now presented in high-resolution 96kHz/24-bit 5.1 surround sound and stereo. SIGNALS (1982) - The synthesizer-driven Signals reached Top 10 and produced their No. 1 hit "New World Man" and the Top 20 hits "Subdivisions" and "The Analog Kid." GRACE UNDER PRESSURE (1984) – This 1984 release hit Top 10 on Billboard's album chart and features classics such as "Red Sector A" and "Distant Early Warning." POWER WINDOWS (1985) – Released in 1985, Power Windows features Top 10 hits "Marathon" and "Big Money," plus the Top 50 hits "Territories" and "Mystic Rhythms." HOLD YOUR FIRE (1987) – The Top 20 album includes "Force Ten" and "Time Stand Still" with both reaching No. 3 on the Mainstream Rock chart, plus the Top 50 hits "Lock And Key" and "Mission." A SHOW OF HANDS (1988) – While 1976's All The World's A Stage shows Rush's hard rock roots and 1982's Exit...Stage Left showcases their mix of synth and prog rock, the Top 50 double live album A Show Of Hands concentrates on the band's later synth-driven era with tracks such as "Subdivisions," "Force Ten," "Red Sector A" and "Marathon." DVD: SIGNALS – The 1982 Top 10 album Signals is also featured in high-resolution 96kHz/24-bit 5.1 surround sound and stereo. Topped only by the Beatles and the Rolling Stones, Rush remains at the No. 3 spot for the most consecutive gold/platinum studio albums by a rock band certified by the RIAA, and their current single "Caravan" went to No. 3 on the radio chart. In addition to their commercial success, Rush has also been recognized with a number of Juno Awards, multiple Grammy® nominations and, with their recent pop culture renaissance, the band made a rare and a memorable cameo in the hit comedy I Love You, Man. With sold-out concerts worldwide, including the recent critically acclaimed "Time Machine Tour," Rush continue to gain new generations of fans worldwide. A career-chronicling Rolling Stone feature summed up the renowned rock trio's continuing artistic vitality by observing, "It's true that Rush doesn't mean today what it did in '76 or even '96. It may mean more." NEW YORK, Oct. 18, 2011 /PRNewswire/ -- The Emerson String Quartet stands alone in the history of string quartets as musicians of unrivaled eminence with an incomparable list of great recordings over three decades. For its debut on Sony Classical, the Quartet has selected Mozart's last three string quartets, the "Prussian" quartets K. 575, K. 589 and K. 590. Available on Tuesday, October 18, the recording will coincide with a series of international concerts featuring the program of the CD. Mozart's three last string quartets, written in 1789 and 1790 after a visit to the royal court in Berlin, were commissioned by the King of Prussia. The King himself played the cello and accordingly, Mozart set out to provide the cello with an especially prominent part. These, Mozart's last quartets, represent the distillation of a lifetime of writing for string instruments in various combinations and genres. Described by Time Magazine as "America's greatest quartet", the Emerson String Quartet has received unparalleled acclaim for concert and recording activities since its formation in 1976. This has led to recognition with nine Grammy® Awards (including two for Best Classical Album, unprecedented for a chamber music group), three Gramophone Awards and the coveted Avery Fisher Prize. Having recorded Mozart's six "Haydn Quartets" as well as the flute quartets, the Emerson have long desired to add more Mozart to their discography. This new album sees them recording Mozart quartets for the first time in 20 years. The Emerson Quartet says: "In playing Mozart, we always strive for elegance, beauty and style; in the purely melodic passages, we try to emulate the human voice, ranging from the most intimate pianissimo to a full sonority when appropriate. In general, Mozart has played an important role in our concert repertoire, and we learned these three quartets fairly early in our career. But it had been twenty years since we recorded any of his quartets, so we felt that it was time to add more of this wonderful and challenging music to our discography." LOS ANGELES, Oct. 19, 2011 /PRNewswire/ -- For over half a century, Etta James has all but defined the role of the quintessential rhythm & blues vocalist. She transcends all musical categories and styles with a recording career that spans more than five decades. On October 25, 2011, Etta James will release The Dreamer, her new album through Verve Forecast. This monumental release not only marks her first album in five years, it will be her final studio album before she retires, capping off an incredible fifty-year recording career. James remarks, "I wish to thank all my fans who have shown me love and support over all these years. I love you all." The album features her one-of-a-kind renditions of Otis Redding's "Cigarettes and Coffee" and Bobby "Blue" Bland's "Dreamer" to Ray Charles' "In The Evening" and Guns N' Roses' "Welcome To The Jungle." The great Etta James has been a musical force and a major hit-maker since the '50s earning numerous accolades including six Grammy Awards®, among them the prestigious Lifetime Achievement Award, a Best Jazz Vocal Performance and two Hall of Fame Awards. In 1993, James was inducted in the Rock and Roll Hall of Fame, and in 2001 she was inducted by both the Rhythm and Blues Hall of Fame and the Rockabilly Hall Of Fame. She also is immortalized in Hollywood with a star on the Hollywood Walk of Fame. Throughout her career, James created a remarkably deep and diverse catalog of R&B, blues, soul, pop and jazz recordings. James crossed all musical genres and styles and has been cited as a major influence by a wide range of singers from Janis Joplin to Irma Thomas to Christina Aguilera and Adele. Many have tried to copy or follow her style, but there is only one Etta James. 3. JEFF The Brotherhood - Whatever I Want 7"
7. Deerhoof (w/ Jeff Tweedy) / The Raccoonists - Behold A Raccoon In The Darkness 7"
10. PUJOL - Bonedaddy 7"
In 1896, Frank Seaman opened the National Gramophone Company. In 1958, Brenda Lee recorded "Rockin' Around The Christmas Tree". The song will be released as a single but will fail to chart in either 1958 or 1959. When it was re-released in 1960, it rose to #14 and has since become a Christmas standard, being ranked at #4 in the Top 10 All Time Christmas Songs. In 1961, the then unknown Beatles and Gerry & the Pacemakers joined together for a one-time show in Litherland, England, billing themselves as the Beatmakers. In 1966, the Yardbirds arrive in New York for their first US tour with Jeff Beck and Jimmy Page on lead guitars. After two dates of the tour, Beck developed acute tonsillitis and quit the group. He would go on to form The Jeff Beck Group, that gave Rod Stewart his first major exposure. 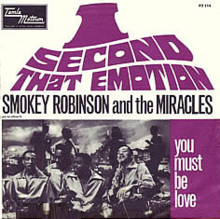 The cut was a million-selling hit for The Miracles, their sixth overall. The Temptations original version was also a top 30 hit in the UK in 1967, reaching #27, while the cover version by Diana Ross & the Supremes and The Temptations peaked at #19. Also in 1967, under the working title "Hello Hello", the Beatles recorded the backing track on October 2, 1967, and added vocals and a guitar overdub on the 19th. After further overdubs of bass guitar and viola, recording was completed on the November 2nd, and mixing on the 6th. In 1967, Jose Feliciano records his version of "Light My Fire", which will reach #3 in the US in 1968. In 1968, 18 year-old Peter Frampton meets Steve Marriott at a Small Faces show in London. After striking up a friendship, the two start planning a new group which will emerge as Humble Pie next April. In 1970, the film Ned Kelly, starring Mick Jagger in the lead role, is released and the critics wasted no time in telling Mick he should stick to singing. One reviewer wrote: "He looks about as lethal as last week's lettuce." Predictably, the movie bombed at the box office. In 1974, Billy Preston went to the top of the US singles chart with "Nothing From Nothing", the singer's second and final number one. 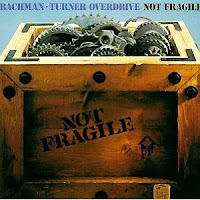 Also in 1974, Bachman-Turner Overdrive had the #1 album in the US with 'Not Fragile.' A single from the LP, "You Ain't Seen Nothing Yet," also topped the American charts. In 1985, a group called a-ha became the first Norwegian band to top the Billboard Hot 100 when "Take on Me" went to number one. The song would reach number two in the UK in November. In 1987, in a clear example of just how far music had sunk, an American Rock critic calls Public Enemy's aptly titled Rap effort "Bring The Noise" as "merely the greatest piece of Rock and Roll released in 1987." The single is made up of melodyless rapping over sampled tracks by James Brown, Funkadelic, Marva Whitney, The Beastie Boys and others. For a record given such high praise, it failed to crack the US Top 40 and only reached #56 on the Billboard Hot R&B / Hip-Hop chart. In 1991, Oasis played their first show with Noel Gallagher in the group in Manchester, England. In 1994, during a Pink Floyd show at London's Earls Court a section of seating collapsed, over 1,000 fans attending the sold-out show escaped any serious injury. In 1997, Glen Buxton, the original lead guitarist for Alice Cooper, died of natural causes at the age of 49. In 2006, Rod Stewart's CD, "Still the Same...Great Rock Classics of Our Time" entered the Billboard Hot 200 album chart at #1. Also in 2006, NBC said that it had decided not to show pictures of Madonna mounting a crucifix when a concert special was aired the following month.